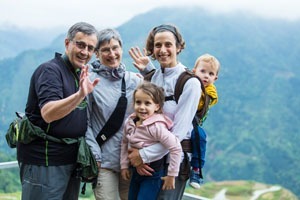 Do you want to enjoy a family tour of China? 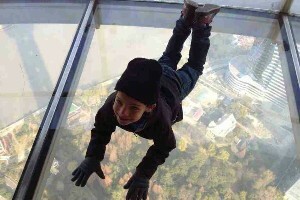 We would like to help you to discover the best family holiday destinations and fun things to do with your kids in China. 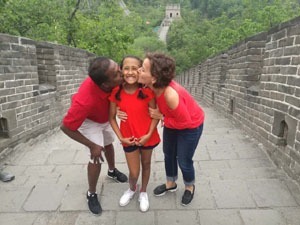 You can also get useful tips for traveling in China with your kids, and guidance on organizing your trip in this family tour planning guide. 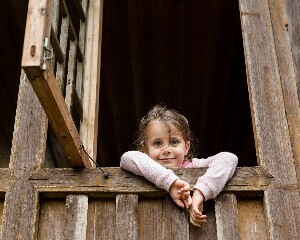 Build in time for your kids to explore new things — like the local wooden houses in Guilin. 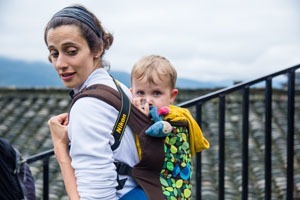 Planning a flexible tour is very important for family travel. It allows you to change your options during the trip. For example, if your kids are suffering from jetlag or not coping with the oriental food or itinerary, you need to have a plan B ready. Having fun is very important for kids during a trip. They are probably not as interested in finding out about Chinese culture or history as adults are. So your daytime itinerary should ideally involve some child-friendly attractions, enjoyable activities, and allow for some free time. You may need to reserve this free time for your kids to play with friends or their toys, to explore new things, or just to sleep or relax. 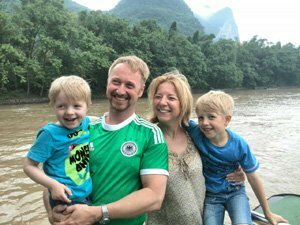 China has many fun and safe destinations, which are full of interesting and family-friendly activities that you will enjoy and will keep your children entertained. 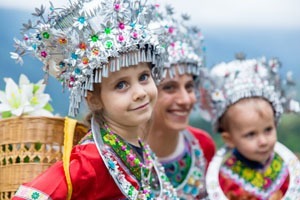 See the beautiful scenery and learn about Chinese culture by all means, but you can also enjoy a family cooking activity, a bike ride through the countryside, and other things to do as a family. Below are China’s top destinations for families, and their family travel guides, for your reference. You can enjoy a Great Wall adventure, taste Peking roast duck, sit in a rickshaw and go for a ride through the hutongs, and maybe watch a kung fu show at night. 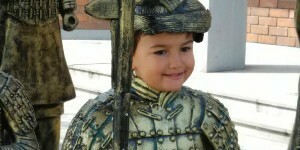 Visit the awesome Terracotta Army and make your own mini terracotta warriors as a family. Explore the top of Shanghai Tower, have fun in Shanghai Disneyland, and experience the incredibly fast magnetically-levitated train. 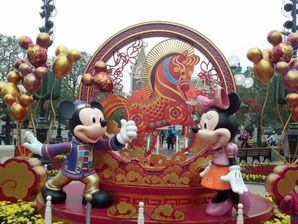 Have fun at Ocean Park and meet your favorite cartoon characters in Hong Kong Disneyland. Enjoy cycling as a family in the countryside (tandem bicycles help to keep families together), make bamboo-tube rice, and have fun on a bamboo raft. 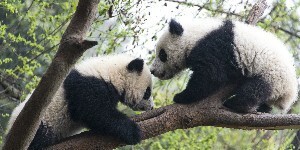 See some cute pandas close up and enjoy Jiuzhaigou’s fairyland scenery. If your child is over 12 years old, he/she can take part in a volunteer program to take care of the giant pandas. 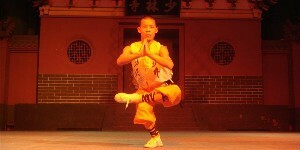 If your kids love Chinese kung fu, you can plan a trip to Dengfeng so they can take a kung fu class and learn about Chinese kung fu. Read more on China&apos;s Top 7 Family Tour Destinations. 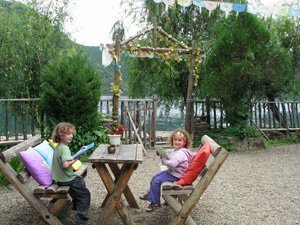 For ideas on other places to visit, we have many destination-specific articles for traveling with kids. Bring your kids&apos; favorite toys. Take snacks: Take some snacks in your bag, such as chocolate or cookies, in case your kids get hungry in the car or during the tour. Take toys or coloring books: For some long-distance journeys, such as on a train or an airplane, it&apos;s a good idea to take your kids&apos; favorite toys or some coloring books to prevent them from becoming bored. Take your iPad: Another way to keep your kids occupied during a long journey is to download their favorite games, shows, or cartoons on your iPad. This also lets you have some time to yourself for reading or just relaxing when your kids are immersed in their own activities. Make use of your tour guide: Kids are curious about new things in China and may ask questions that you can&apos;t answer very well, so let your local expert guide do this for you. Enjoy exploring Chinese culture with your family with fun in-context activities, like trying on Longsheng&apos;s minority costumes. Planning a family trip to China is not easy with China being such a big country and if you are unable to speak Chinese. The good thing is that we, at China Highlights, are here to help you. 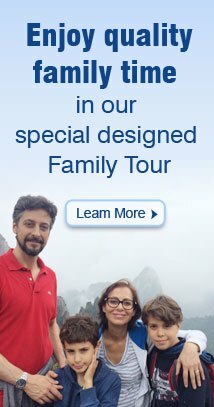 Please see our family tours below for inspiration. Alternatively, just tell us your interests and requirements, and we will help you tailor-make your own family trip.